Third year undergraduate students have the opportunity to do a Photographic or Video Project in Visual Anthropology in the final Spring Term. For the video project the course begins with students making symbolic cameras that represent their own unique involvement and creativity in their projects. These cameras (see right), remind them of their artistic and creative visions during the trials and challenges of the collaborative process. 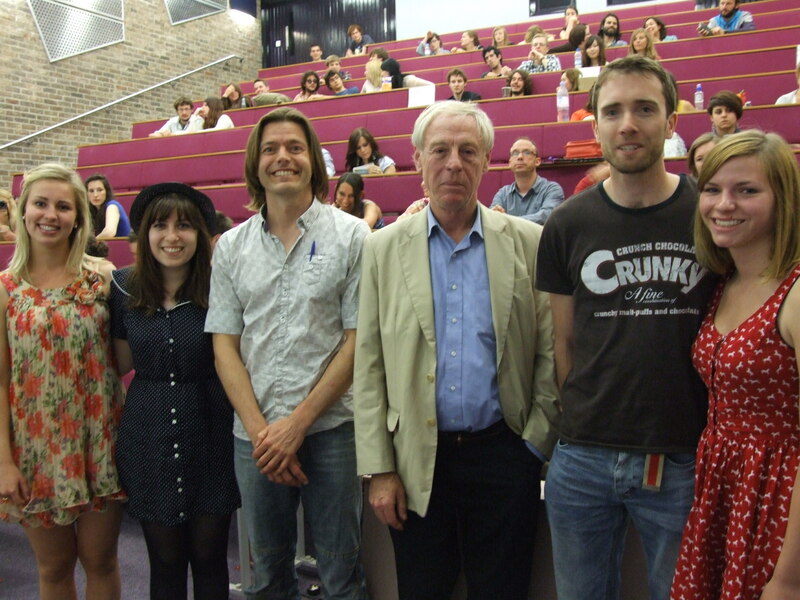 The resulting videos are screened in the Summer Term to an enthusiastic group of staff, students and visitors. Two prizes are awarded. The first, the Roger Just Visual Anthropology Prize, is awarded by Professor Roger Just, much admired by students for his inspirational teaching. The second prize is voted on by the audience. This year the judges decided that Runners Up prizes were also awarded. Below are the projects, click on the link to see some of the films and learn more of the projects.